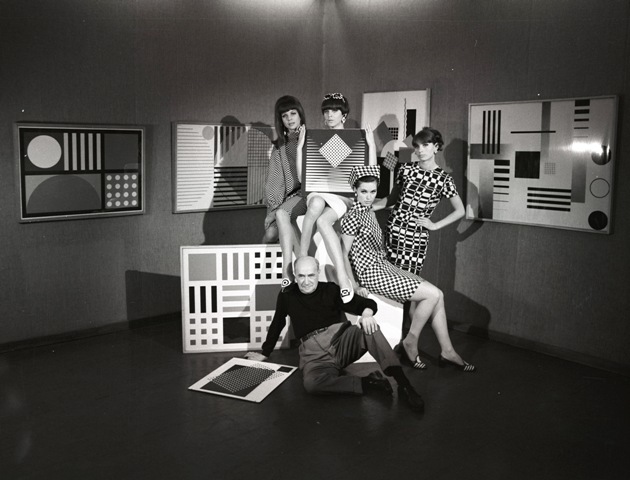 Image: Photograph by Edward Hartwig showing Henryk Berlewi and his works accompanied by Models in Hotel Europe, Warsaw, 1960s. Copyright and Courtesy Gaiser & Cie. . The Henryk Berlewi Archive is actively collecting documents and information on Henryk Berlewi (1894-1967).If you are interested in Henryk Berlewi or if want to contribute to the Catalogue Raisonné Project please contact us directly at archive@berlewi.com. We are also interested in the “Impact of Henryk Berlewi”.If you or your organization own or has own works or documents by and about Henryk Berlewi we would highly appreciate if you could provide us with detailed information about this/these works. Whereas, we guarantee discretion.We thank you in advance for your support. Any kind of input is welcome. If you need support please contact us at archive@berlewi.com.If you are a scholar and interested in working with Archive material please send us your request. Only requests including full name and address will be considered.